In the age of abundant technology, everything has become a bit smarter. There are now smart phones, smart watches and smart cars, but one thing that can truly change the way we live now and in our future is the smart home, a home designed with sustainability and convenience as it's primary objectives. According to the Queensland Department of Public Works, a sustainable smart home design should encompass three areas of sustainability: environmental sustainability, economic sustainability and social sustainability. Should any of these areas fall short, the longevity of smart home design could be compromised. We've only got one planet and only so many resources on it, so it is imperative that sustainable homes come equipped with ample features to reduce our ecological footprint. This can be achieved by positioning the home in such a way that natural light is abundant and heating and cooling requirements are minimal (with sufficient insulation and carefully planned landscaping, for example). The installation of energy efficient appliances are also recommended. Additionally, the installation of a green roofing system can substantially reduce energy consumption while providing valuable nutrition for family members. Depending on the slope and complexity of the roof on which a green roofing system is to be installed, prices can vary from $10 per square foot up to $25. A smart home allows owners to control appliances such as lights and air conditioners remotely, as well, which will improve the home's economic sustainability. Homes equipped with a smart home design can control lights, locks, security cameras and thermostats all from their cellular device which can greatly improve the home's efficiency and save owners money on both water and electricity bills. Each smart device is purchased and installed separately and can range from a $35 motion detector to a $400 solar ventilation system if purchased from SmartHome.com. Social sustainability implies that the smart home will be easy and convenient to use so that every member of the family can engage in sustainable practices. This means that controls should be simple to maneuver, thermostats should be easy to program and family members are easy to locate. 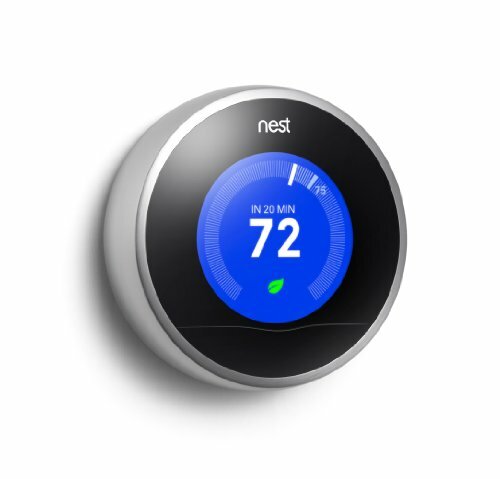 Often, these issues will be handled automatically by smart devices such as the Nest, a thermostat designed to learn the preferences, locations and schedules of all members of the home and tweak it's settings accordingly, all for around $250. Another example of social sustainability through smart design is esri's geofencing application that allows users to draw a virtual fence around an area (home or school, for example) and receive notifications about when a device enters into the area. This can allow parents to track when their children leave school or arrive home thus providing an added sense of security. This application is free while it is in beta. Future pricing has not been disclosed. Smart home design is the wave of the future, allowing users to control lights, locks and entire HVAC systems from virtually anywhere. It is a way homeowners can reduce their ecological footprint and their monthly utility bills with the touch of a button, and can even help to keep track of family members to increase safety. Because, even though the space we consume is small, the way we use it can have a big impact on the future. Interesting ideas and new technology here. I build homes occasionally but never thought of a triple test of environmental sustainability, economic sustainability and social sustainability. Thank you, and I agree. I've written about smart home technology in the past, but it was always based around the gadgets specific to home automation. It was only recently that I learned about how truely sustainable smart homes should cover these three dimensions of sustainability. The downside with a house that can be controlled by a mobile device is that it's going to become increasingly likely that houses are going to be hacked. That's already a worry for similar developments with cars. Interesting read! It will be curious to see where society goes as technology becomes more and more integrated with daily living on many levels. I do agree with egdcltd about hacking (and privacy) issues associated with so much smart integration.